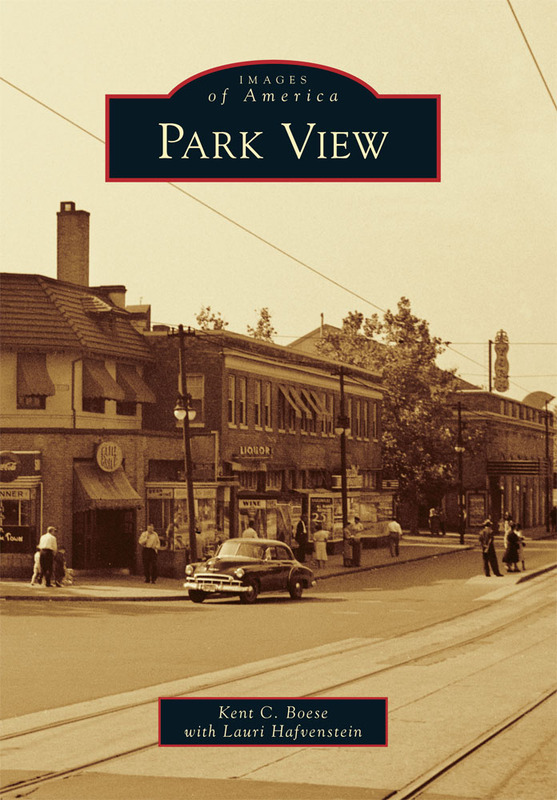 historic comparison | Park View, D.C. Recently I found a glass magic lantern slide showing the “Norwegian Ligation” located on 16th Street in 1912 (see below). 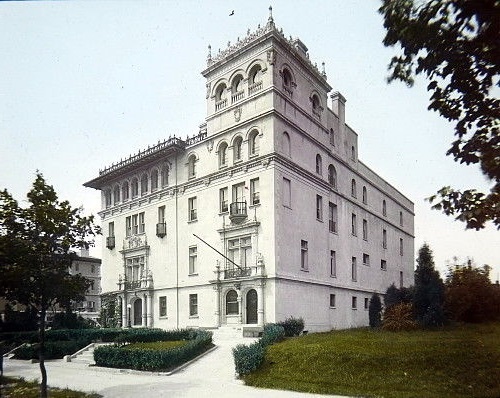 The Norwegian embassy moved to a new building on Massachusetts Avenue in 1931, where it remains today. Anyone familiar with the building will know instantly that the building in the photo is actually two buildings. the northern half is the Lithuanian Embassy, and the southern half was razed and replaced with a tall apartment building in 1965 which is jarringly incompatible with the surrounding architectural character of the area. However, I think it is easy to miss that the Lithuanian embassy building itself has also had an addition — not just in the rear but also on top. In this way, I think the expansion of the 1907 building was accomplished successfully. It is also good to see that Lithuania is a good steward of its building, and undertook a restoration of the limestone and terracotta facades in 2008, which can be seen here. 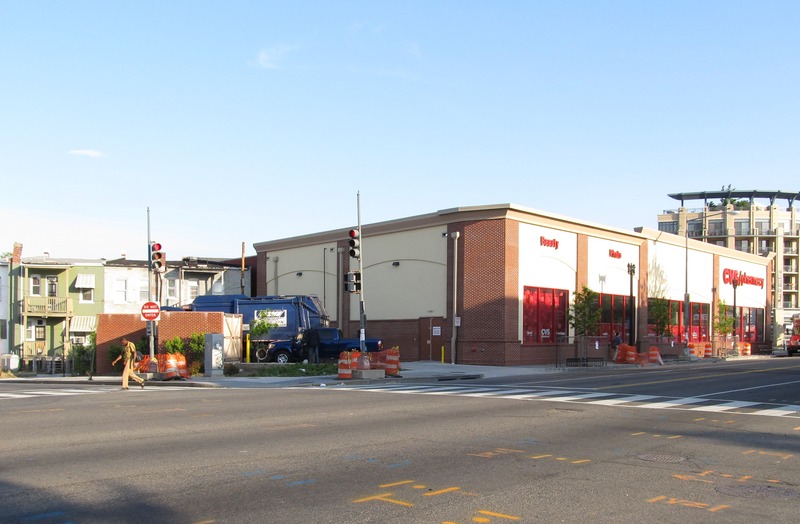 Here’s a great then and now comparison of the Pepco substation located at Harvard Street and Sherman Avenue. Substation No. 13 was built in 1907 and designed by architect Frederick B. Pyle. Currently, it is Pepco’s oldest operating substation and one of the oldest purpose-built substation buildings still standing. To keep up with demand, additions were also constructed in 1920, 1921, 1929, and 1944. 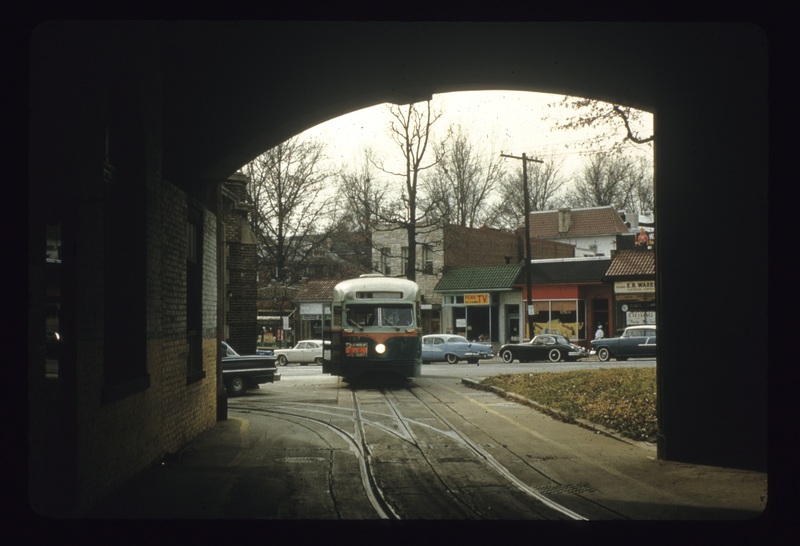 Below is an image of what it looked like in the late 1950s. Substation No. 13 was the first purpose-built substation constructed outside of the boundaries of the original City of Washington. 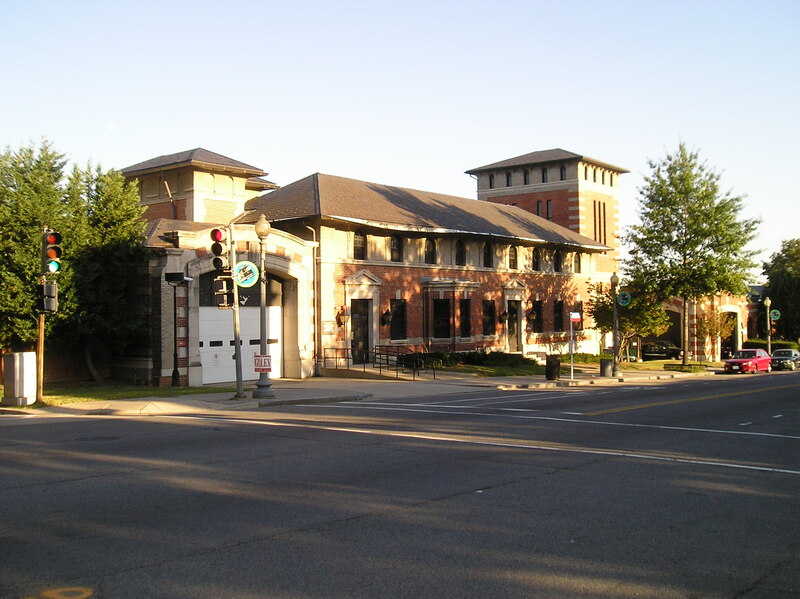 Compared to other substations built prior to 1929, the Harvard Substation is the most architecturally significant as it is unique in its inclusion of a hipped roof, dormer windows, and stone quoins. These details are likely the result of a two month battle between residents of Columbia Heights and the city which attempted to prevent the substation from being constructed. The resulting building was an attempt to make the building more compatible with the surrounding neighborhood. Below is what the building looks like today. The northeast corner of Georgia Avenue and Park Road in 1910 (above) and today (below). 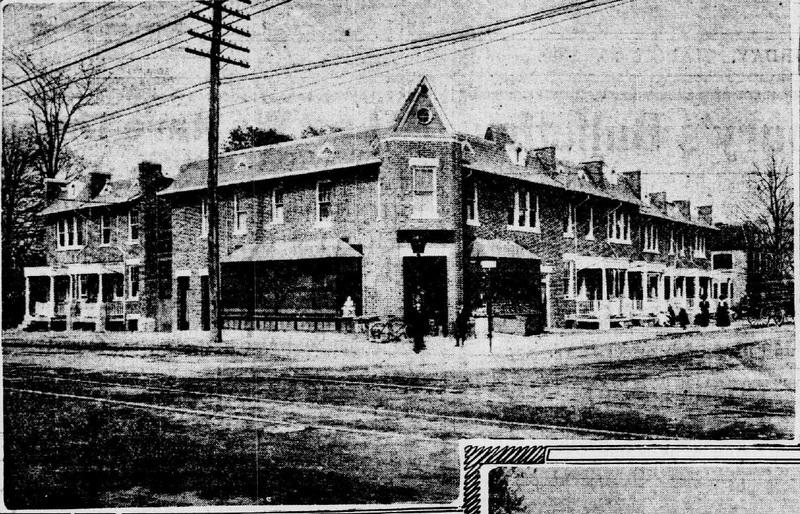 I’m in the beginning stages of researching the history of the old Hebrew Home for the Aged building, located at 1125 Spring Road (between 1oth and 13th streets). The building that is currently there was built in two phases. The western wing was completed in 1925 and had 35 rooms for residents. The larger portion of the building was completed in 1953 and increased capacity to 165 residents. 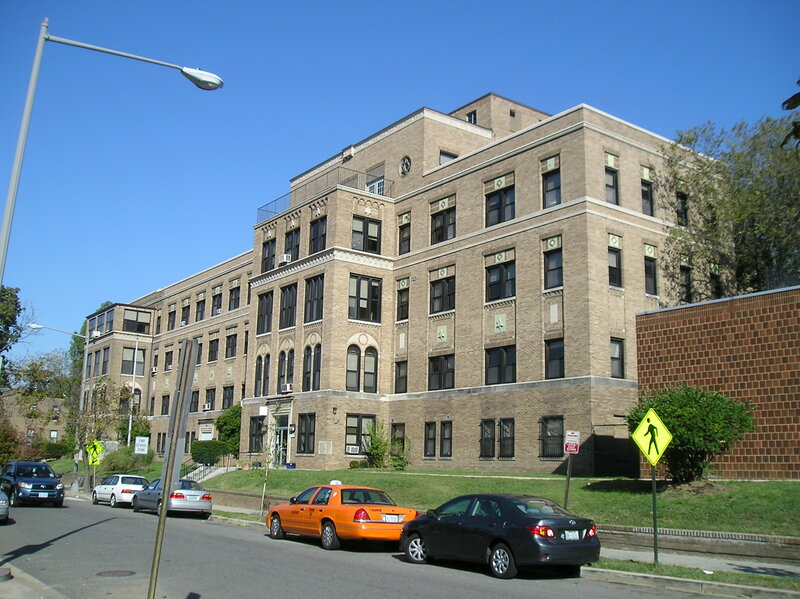 The former Hebrew Home for the Aged from the southeast. The original wing is in the distance with the 1953 addition in the foreground. One thing I’ve discovered in pulling together the history of the place, interestingly, is that the building was built in stages and never completed. There is still room for an easternmost wing that would have made the building’s Spring Road elevation symmetrical. It also owes much of its current appearance due to the nearly 30 year break between the first wing and the 1953 addition, which caused the 1924 plans to be altered. From its beginning, the Spring Road Hebrew Home complex was conceptualized to have a residential wing, a hospital wing, and a synagogue. Funding was also an issue that caused construction delays and an approach to build the project in stages. An early design from 1922 designed by architect Harry A. Brandt shows two large wings sited perpendicular to Spring Road. That design is shown below. Yet, Brandt’s design for a retirement home and hospital may have been too grand when compared to fund-raising efforts. By 1924, when work on the complex finally began both the design and architect had changed. Building permits show that the new architect of the building was Appleton P. Clark, Jr. In looking at the design as reworked, it is clear that Clark added a flair to the design by incorporating Moorish elements. Clark also designed a complex that could be built in stages. The west wing was built in 1924-1925. The eastern hospital wing was planned to follow but delayed due to financial issues. The central, grand synagogue was not built. Below is the design as envision by Clark. In looking at Clark’s design, it is easy to see that the western wing of his design closely resembles the original 1925 Hebrew Home structure. Deviation from Clark’s design when construction began again in 1953 was likely due to the Home’s need for more capacity than that anticipated in 1924. Earlier this year, I participated in the Historical Society of Washington’s Urban Photography series as a tour guide. 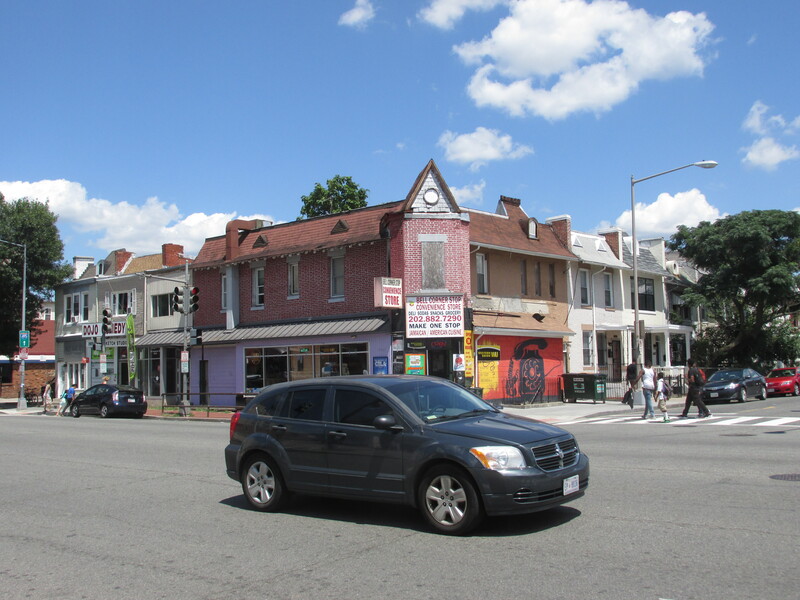 The purpose of the tours was to explore one neighborhood in each of Washington’s 8 Wards and create a photographic record of that community today. These photographs have been added to the Historical Society’s collection and will be useful to future scholars writing about our city. It is hoped that the Urban Photography Series will occur annually and eventually document every corner of the District of Columbia. Below is a video that the HSWDC put together that will give you a taste of was was accomplished this year. Though there is an old adage that a picture is worth a thousand words, sometimes a picture creates more questions than answers. The picture above from 1949 is one such picture. 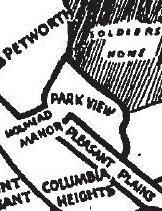 It shows the northwest corner of Princeton Place and Georgia Avenue, with 3642 Georgia Prominently located front and center. 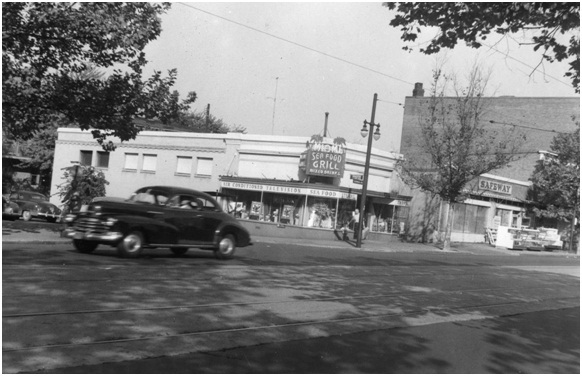 In looking at the photograph the Miami Seafood Grill is right on the corner with a Safeway just to the north and the back of the Peoples Drug Store after that. What is vexing to me is that I haven’t been able to find out much about the restaurant. The building at 3642 dated to 1911 when E.M. Dulin erected the brick store valued at $7,000. The photograph above shows that it had become the Miami Seafood Grill by 1949 but I haven’t been able to find out any additional information on this restaurant (so far) which is a shame. It looks like it had a great neon sign including palm trees. The only other piece of information I’ve been able to find is a matchbook cover dating to sometime after 1952, judging by the “Randolph 6-” phone number. You can see a picture of that below. We haven’t really heard anything of substance about streetcars on Georgia Avenue since the middle of last year. With the way the District budget is shaping up it’s likely to be years before it happens, if it happens at all. Yet, one thing I’ve been curious about since DDOT first proposed a city-wide streetcar system is where the trains will actually be housed when not in use. The old car barns on Georgia Avenue, which were transformed into Curtis Chevrolet, are currently going to be raised to make way for Walmart and the car barns on East Capitol Street are now condos. 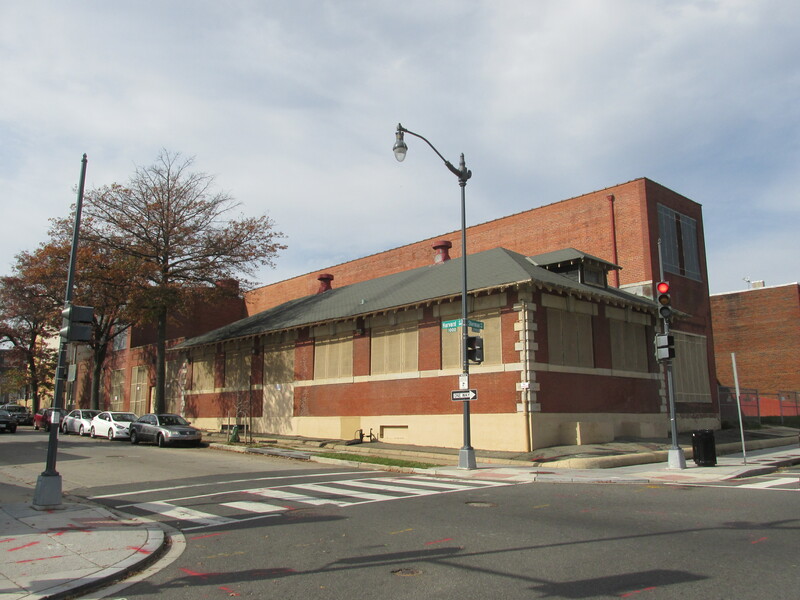 The Decatur Street car barn (above) at 4615 14th Street, NW, would make an excellent facility in the area — except it isn’t located on any of the proposed lines. 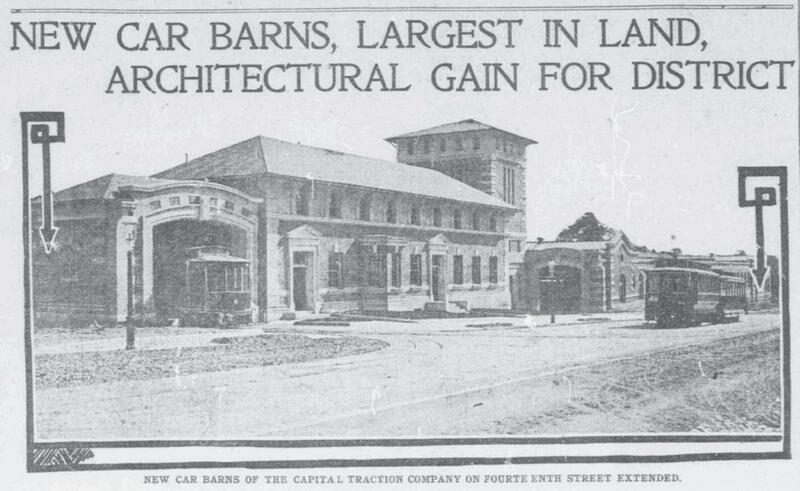 The Decatur Street car barn dates to 1907 and was considered an architectural gain for the District. Architects Wood, Donn & Deming designed the structure for the Capital Traction Company which wanted their new facility to be in keeping with the residential architecture in the surrounding neighborhood. The finished barns accommodated over 250 streetcars. Today it is WMATA’s Metrobus Northern Division garage.